Equipments in a company would like to be actively "utilized". However, "management" on these items is very troublesome. It will become a mere facade sooner or later if it is by the management method, for example, "record in Excel or Spreadsheet". Don't know who should update. Don't know when it was updated last time. First of all, don't know where the management file is. Hopeless, if it is a premise of"Long-term lending". As a result, even the essential matters, such as who is holding it, or is he or she really holding cannot be managed. The following Workflow definition is a mechanism to record lending and return of goods. 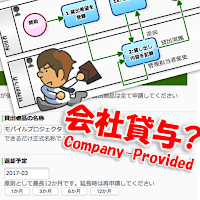 It can be said to be a system that records "inventory" such as "offered" and "returned". As you can see from the Workflow diagram, I haven't done anything complicated. 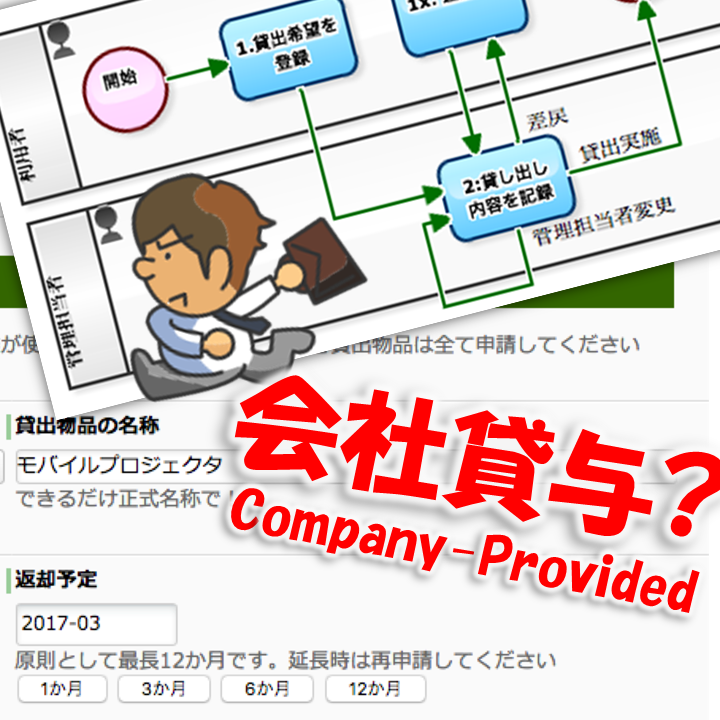 It is only a mechanism that the user of goods entries about "goods wanting long-term lending", and the goods manager (teller) records about "contents lent out". In this example, it is unique that the lend period is managed in year, month (e.g. 2017-02) rather than the date (e.g. 2017-02-13). It seems like suggesting "application for short-term lending is unnecessary". Significance of recognizing the existence of business from daily basis. For the Workflow system, it is important if "it reaches to full-operation". Suppose if a Workflow system that is utilized on the daily basis for various tasks such as "Expense claim" or "Quote approval", it will help reduce missing of registration as long as "Form for Lending request" exists on the list application forms. Whereas, if it is used only for "Lending management", it sure will not "reach to full-operation". In addition, it is important that "colleagues" can "see" what they are applying for. For example, suppose if you wanted to use a laser pointer, you would recognize the worth of "Lending management" when you can check "who is using" (who is holding it) on the system. In this Workflow, "Lending out notification" arrives at the start of lending, and "Notification to return" will arrive in the scheduled month of return. In the case of goods for which long-term use is assumed, you might forget what you are borrowing yourself, but you will be able to check "things you are borrowing " by looking at your email log, as well.